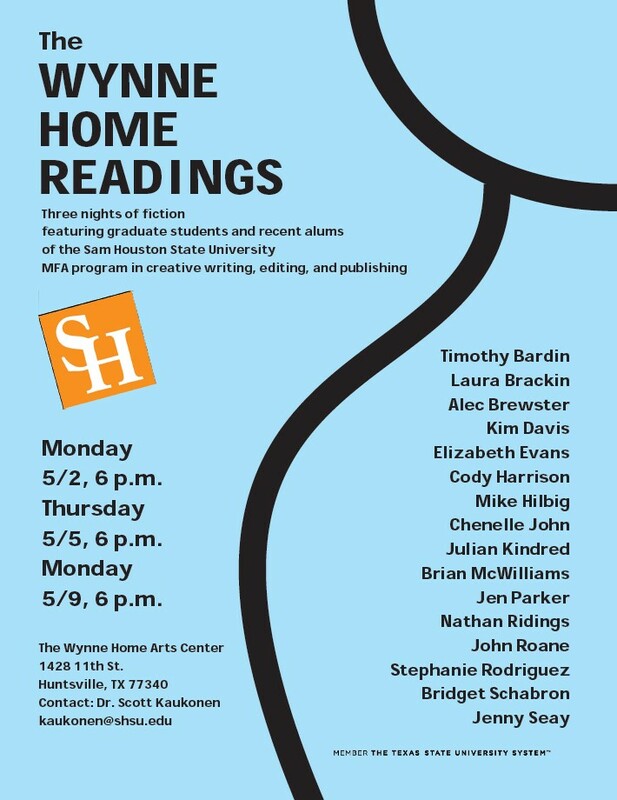 Join the Wynne Home Arts Center and Sam Houston State University’s MFA program for evenings of fiction stories during the Wynne Home Readings. The event will feature graduate students and recent alumni of the MFA in creative writing, editing and publishing. These students have spent the semester working with Dr. Scott Kaukonen, the director of the MFA program at SHSU, in his fiction writing workshop. The students will be finally sharing their stories with the public on May 5 and May 9. These two evenings are free and open to the public and will begin at 6 p.m. For more information, contact the Wynne Home at 936-291-5424.